Unfortunately, we have reluctantly decided to stop taking orders for the present, as we are unable to keep up with the high demand for our products in a timely fashion. Please feel free to browse our products and check back later in the year for further updates. 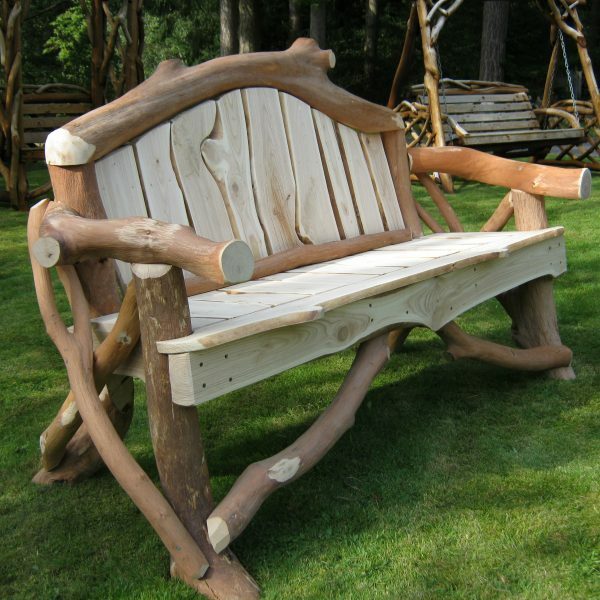 Coppice Creations is a small, rural, family business set in the heart of the Wyre Forest manufacturing traditional rustic garden furniture and fencing. 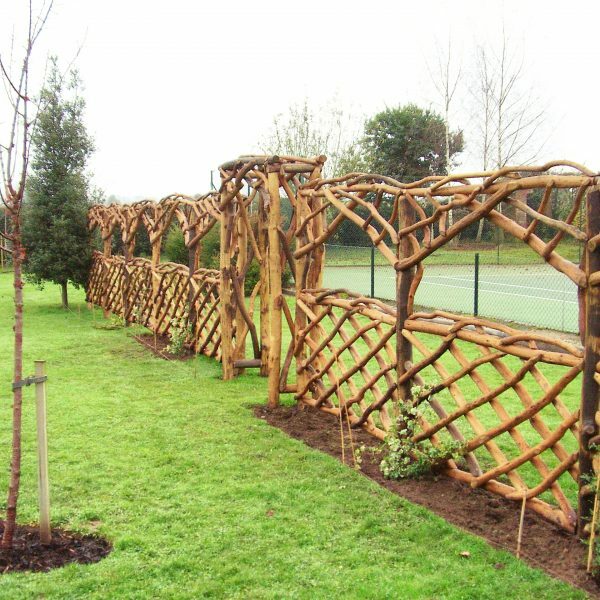 Our raw material is either oak or sweet chestnut which we coppice from the forest ourselves. Coppicing by its very nature ensures that all our wood is sustainable. We are the only business left in the Wyre Forest to peel oak naturally – when the sap is rising and it is collected and used by the only remaining tannery in the country. Once the wood is peeled it is left to dry and then using mainly hand tools, made into our extensive and original range of garden products. On the website you will see only a sample of the products we make. If you don’t see what you are looking for, please contact us and we will do our best to meet your requirements. “The garden arches are fabulous. Real craftsmanship made of beautiful carefully chosen wood. We are delighted. 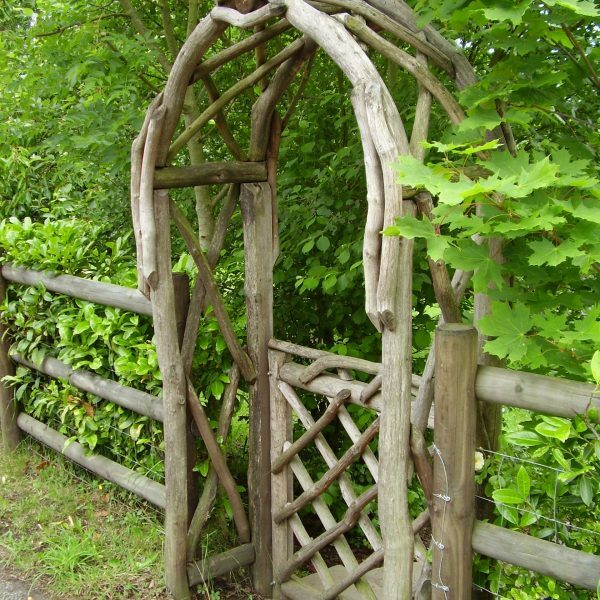 We wanted one non-standard size arch and also two arches connected with a lattice to create a ‘tunnel’ effect, so it took a bit of research to find someone who could make good looking garden furniture with a rustic feel to such an unusual specification. You said you thought we would like them. Well, what an understatement. They are so much better than I ever could have imagined. Not only that, but the personal contact you had with us, the order handling and even the delivery, all added to what has been a really enjoyable and special experience.